I was very pleased to return from half term to see that quite a few people, boys and staff had recorded stories about their inherited objects and sent them to me. Each one is very personal, rich and speaks volumes of the relationships between people and places. Thank you! This week I have been sourcing specimen jars to house the recordings and I have Helen in Biology to thank for lending me some beautiful bell jars. This week I have been experimenting with the way sound varies in each type of jar and considering the technical aspects of putting speakers in the base each jar so that it contains the story. I have also been thinking about how best to interpret the stories into textiles without it being an illustration of them. I have received an order of 'Solvy' which is a transparent material used in machine embroidery that can be dissolved in water. The new fabric can then be manipulated and re-formed into shape. 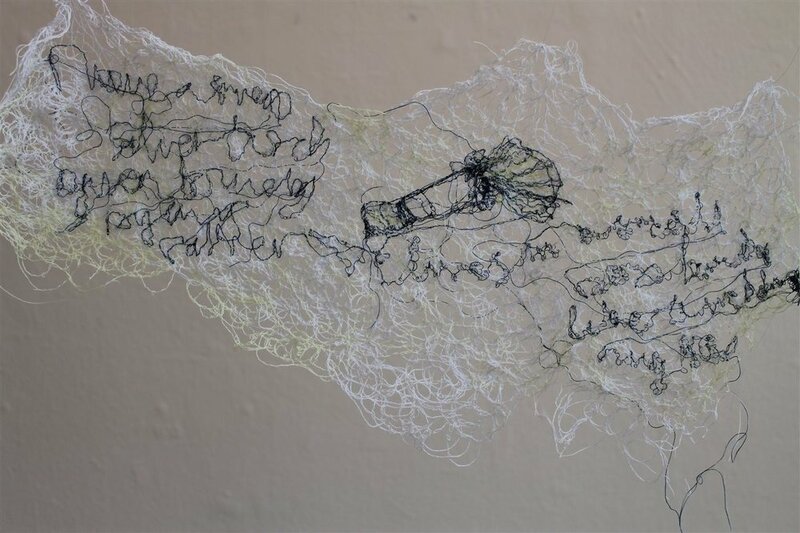 This Friday I will be experimenting with the Solvy material and using the text from the audios to create lengths of fabric.